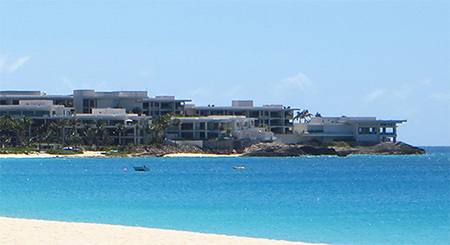 I'm excited to announce our annual "Win A Trip To Anguilla" contest! This year's contest is for a truly special cause, one that's very close to my heart. It's called Bright Lights. The Bright Lights Fund supports one exceptional young Anguillian with the drive, will and a plan to make a difference. Anguilla is home to hundreds of extraordinary young people with passion and vision. These are young people with unique skills that are leveragable with some financial aid. Their plans and actions have the power to generate "ripples" that can improve the lives of many Anguillians. The recession, though, has hit hard. While these bright lights deserve a chance to shine, the money is not there to help. In this pilot year, Bright Lights seeks to help just ONE exceptional person, the one who we believe has the strongest blend of idea, skill set, integrity and tenacity to realize his/her realistic plan to make a difference in Anguilla. The fund is dedicated to these people and to the future of Anguilla. We're launching this effort with our first annual contest/fundraiser! Note: You don't have to enter the contest to contribute to the fund. To donate and NOT enter the contest, click here. For full fund and contest details, click here. This fund does not have any "administrative fees." All money collected is dispersed directly to the recipient, monthly, through PayPal. Proving that to you is extremely important. Therefore, an unbiased third-party, with relevant experience in this area, will be publishing statements on a volunteer basis. Peter and Sallie Lilienthal are the Bright Lights fund auditors. More on Peter and Sallie here. Waking up to that sparkling Caribbean Sea every morning sure is a dream. 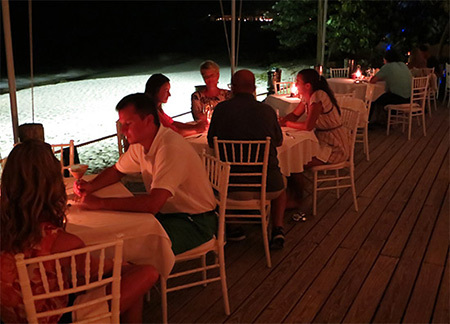 Set right on Meads Bay's shores, Carimar Beach Club's location is one of the very best. Here, everyday is a beach day. Surroundings aside, the hotel is known for its welcoming and accommodating service. Inside, suites are large, clean and tastefully decorated with a fresh Caribbean theme. 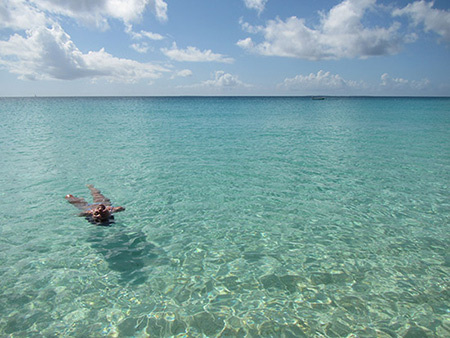 It's no wonder Carimar is one of the top-rated hotels in Anguilla. 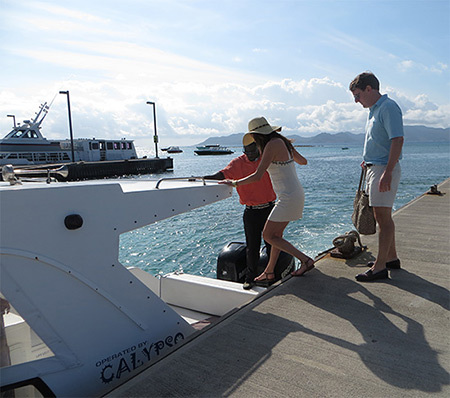 Customer-focused, Calypso Charters handles my "am I going to miss my plane" panic calmly and graciously. Professional and reliable, they always get me there on time! Have you seen a more majestic setting? Perched between Meads Bay and Barnes Bay, Viceroy's signature restaurant, Coba catches the eye. Trendy and five-star, this is the place to "see and be seen!" Food-wise, Coba's menu is diverse (seafood "on ice", steaks, fresh fish, etc.). Everything is flawlessly and elegantly prepared by Chef Cliff Denny. 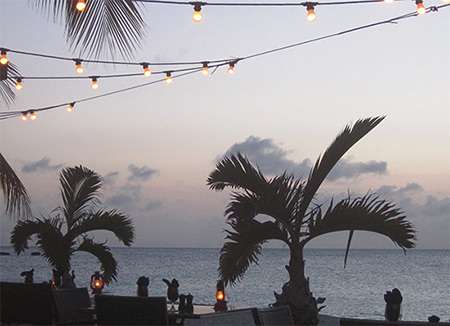 Under the Caribbean sky, open to the Caribbean sea, dining at Straw Hat is a blissfully calm experience. With friendly and unpretentious service, and creative Caribbean cuisine on the menu, it's a top choice for a laid-back, yet luxurious meal. Set in a lush garden, Veya sparkles something special. Lit up by twinkling lights and accented by Koi Ponds, the vibe is calm and cool. 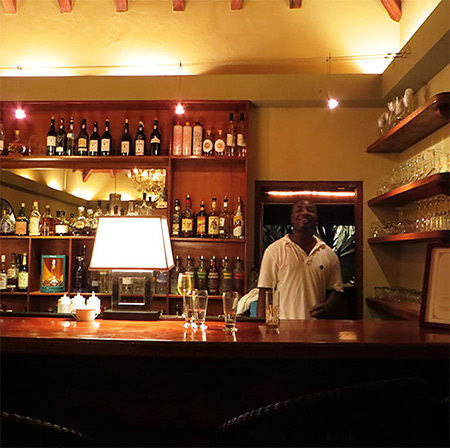 The menu is one of the most unique on the island, blending flavors of all kinds to perfection. Tip: Don't miss the Moroccan shrimp cigars. Classic and quiet, Hibernia encapsulates a collision of cultures. Influenced by the owners' travels through Asia, this restaurant is distinguished by its exotic Asian-Caribbean feel. Recommendation: Smoked fish (freshly smoked), Tom Yam Pla and the rich rum raisin ice cream. Mango's has THE most intimate seaside setting. On a wooden deck right at sea level, the waves kiss the sand just a few meters away. The cuisine more than lives up to the challenge of the first impression, too! The focus is fresh, local seafood. Sesame Snapper is my Mom's #1 choice. 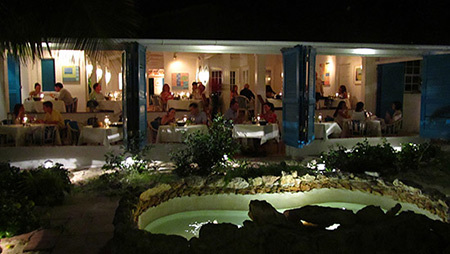 Perhaps the most popular restaurant on the island, dining inside Blanchards' upscale, Caribbean-cottage style dining room really feels like being a guest in Bob and Melinda's (the owners) home. Complete sweet hearts, they take care of your every need. 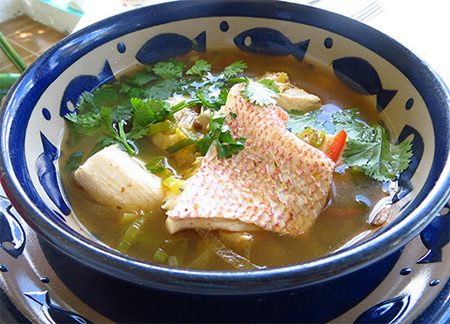 And, my mouth waters just thinking about Melinda's American-Caribbean creations! Note: Prize must be redeemed between November 3rd and December 18th, 2013 or between June 1st and August 31st, 2014. To enter the contest, all you have to do is donate to the fund. The more you donate, the higher your chances of winning. Last Day To Enter: November 2nd, 11:59PM EST. Drawing Date & Place: November 3rd, 10:00AM EST., via Google Hang Out. Details here. For full fund and contest details, click here. Please do share this with as many people as you can. It is all for an excellent cause!